Your spouse is not your enemy! Your spouse is not your enemy! Learn to view your spouse as your teammate, and grow closer to your spouse through God's design for marriage. In six sessions, couples will learn the importance of recognizing their differences, committing to mutual dependability, and learning to trust and to be trusted. Robert Lewis has been a pastor, writer, speaker and visionary for over forty years. Today, Robert is still very involved in local church ministry. He also continues to travel throughout the United States and the world, consulting and speaking on various topics, particularly men's issues, marriage and family issues, and leadership. Robert and his wife, Sherard, have been married for 42 years and live in Little Rock, Arkansas. They have four grown children and three grandchildren. David Boehi is a senior editor at FamilyLife. 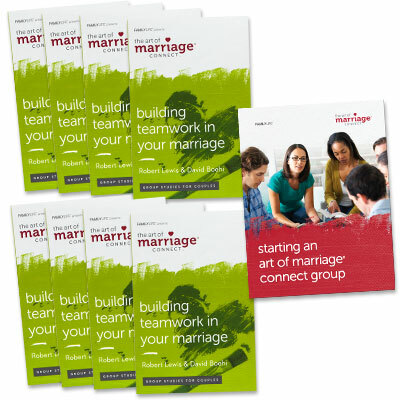 He has written and edited numerous FamilyLife resources, including Preparing for Marriage. He also writes and edits articles for FamilyLife®'s website. David and his wife, Merry, live in Little Rock, Arkansas.